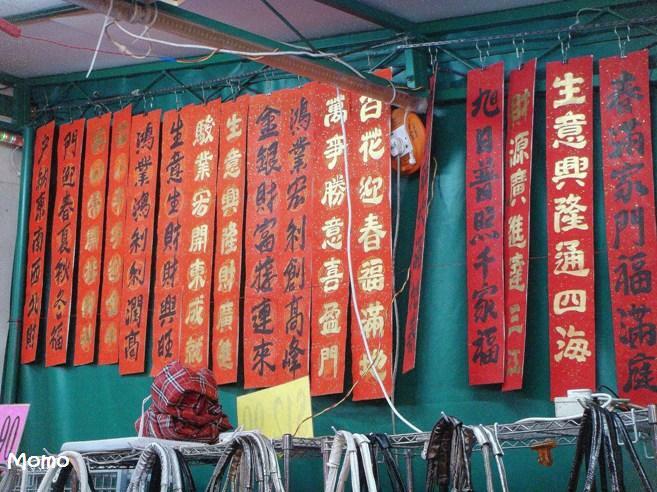 Every year there will be 1 stall or 2 down Chinatown where someone will sit and write these couplets. They are usually bought and hung on the main doors, on the first morning of the lunar new year. Usually these couplets comes in a pair, 2 lines of 4 characters each. But this one we saw, is 7 characters. Not too good with my mandarin, hence shall not attempt to explain the meaning of each of them :-) Although they usually mean good things for the new year or blessings for the household. These calligraphy couplets are beautifully written. We can't find any written one being sold in Subang Jaya. So gotta opt for those ready printed ones that can be purchased from the shop. I love decorating my house with these red couplets as they really brighten up the house and add some new year cheers to the surrounding!